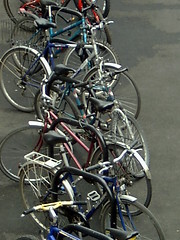 Places (stations, pubs, etc) that have facilities to park your bicycle. Last edited 2012-07-24 09:11:21 (version 4; diff). List all versions. Page last edited 2012-07-24 09:11:21 (version 4).